Mozilla CEO, Chris Beard, created a brouhaha about the default browsing options in Windows 10 shortly after its release. Beard believes Microsoft is forcing users who upgrade or invest in a Windows 10 PC in a letter he sent to Microsoft CEO Satya Nadella. Mr. 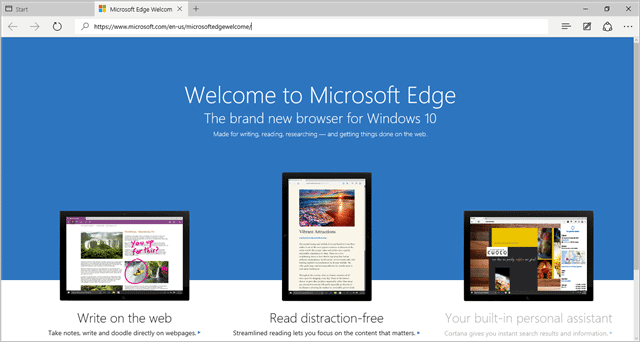 Beard accuses Microsoft of changing the browser experience during the upgrade, forcing consumers to use Microsoft Edge as opposed to the browser of their liking. Let’s look at why Mr. Beard is wrong and how easy it is to set your default browser of choice in Windows 10. Before you begin to change your default browser in Windows 10, make sure whatever browser you want to use is installed. If you upgraded and kept your files, it’ll still be installed and accessible, so don’t worry about reinstalling. If you’re using a new browser, download, install and open it for the first time. It may prompt you to set it as your default browser, do so and you’re done. If it doesn’t prompt you, follow the steps below. Search for “default browser” in the Cortana search box at the bottom left of your desktop. This will take you directly to the PC settings for default apps and programs. A pop-up will appear allowing you to pick what browser you want to be your default going forward. Click on that browser and you’re set. Is changing your default browser after upgrading to Windows 10 a minor annoyance? Sure, but it’s honestly not as big of a deal as Beard makes it out to be. Microsoft made the change to direct users to Edge, which is a step up from Internet Explorer, and in some cases, is running faster than Chrome and Firefox depending on PC setups. Now, you can change your default browser if it hasn’t prompted you to do so already in Windows 10.